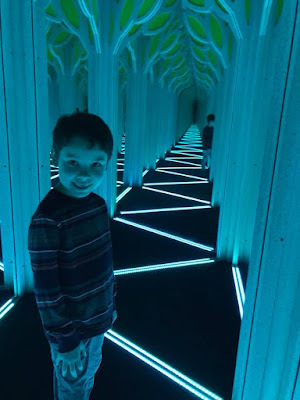 My son turns 7 tomorrow, and he's been into doing and drawing mazes for as long as I can remember. (Which is really cool, because I remember drawing mazes for my dad when I was a little girl). 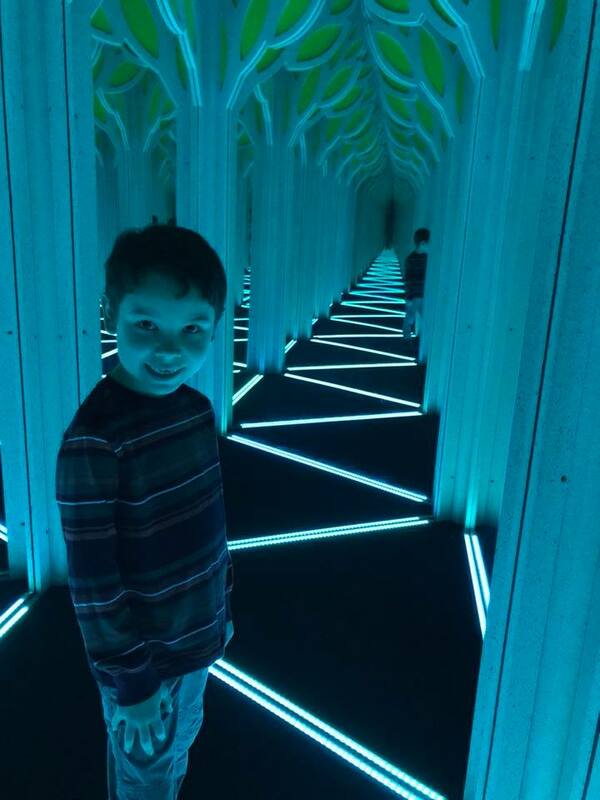 We even took him to the Museum of Science in Boston this past weekend for a special surprise - a mirror maze! I wanted to make a maze birthday card for him. 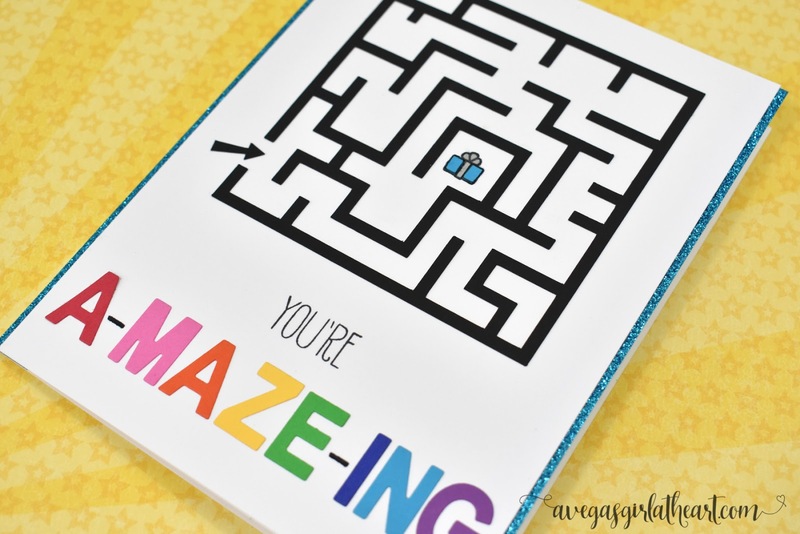 I found a maze design in the Silhouette Design Store for 99 cents that I knew would be perfect. The design comes with a card shape and a heart for the center but since this was a birthday card, I wanted to put a present at the end of the maze. 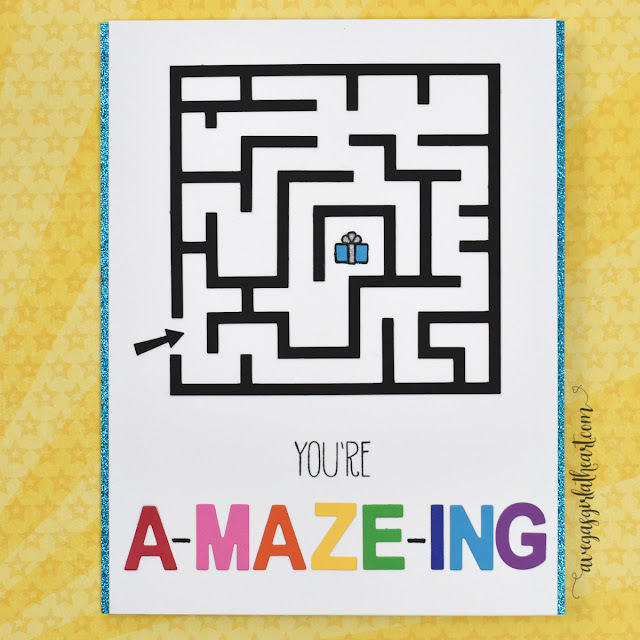 I also wanted a larger card so I could include a sentiment on the front, so I just cut out the maze and the arrow. I cut the maze and arrow from some black card stock. 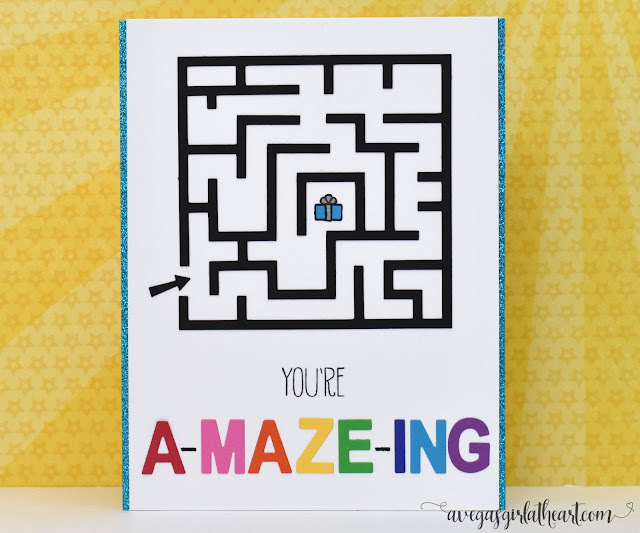 Once I figured out the placement I wanted on the card, I marked where the end of the maze would be on my card, and then I stamped a small present from the Lawn Fawn Party Animal stamp set. 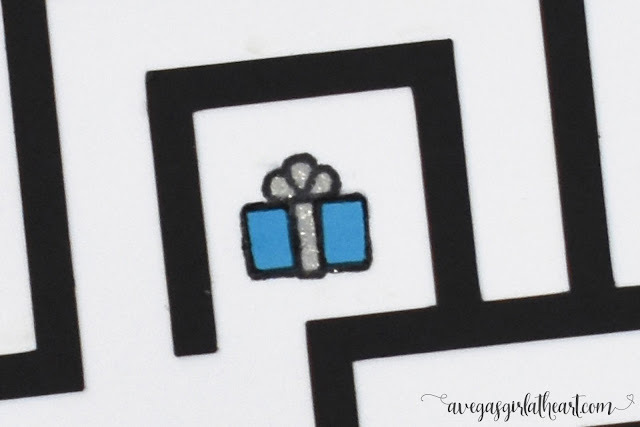 In the end, I ended up coloring in the ribbon & bow with a Gelly Roll Silver Star pen, and then I stamped the same present onto the light blue card stock used for the N in the sentiment and carefully cut out the "wrapping paper" part and glued them on top of the original stamped design. On the front of the card, I used a combination of the "you're" stamp from the Avery Elle Handwritten Notes stamp set and die cut letters using the Stampin' Up! Little Letters Thinlets dies. I cut the letters using a rainbow of small cut Recollections card stock. 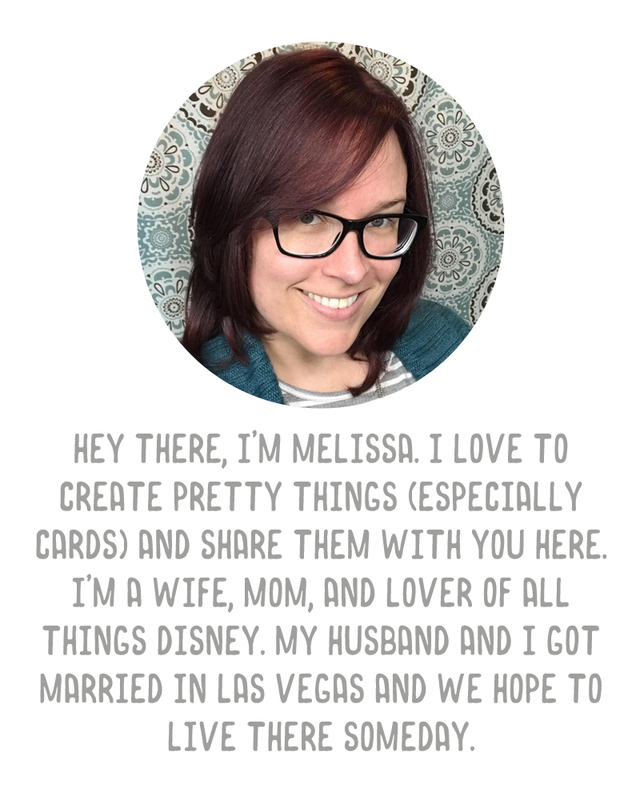 (My mom gave me a small little pack of 2"x3" card stock in my Christmas stocking that was perfect for this project - I just ran them through my Sizzix Sidekick). Under the front card panel (which was cut to about 5.25" x 7") I put strips of blue glitter card stock along the edges. The finished card size is 5.5"x7". I did not use foam adhesive behind the white panel but you could for some dimension. 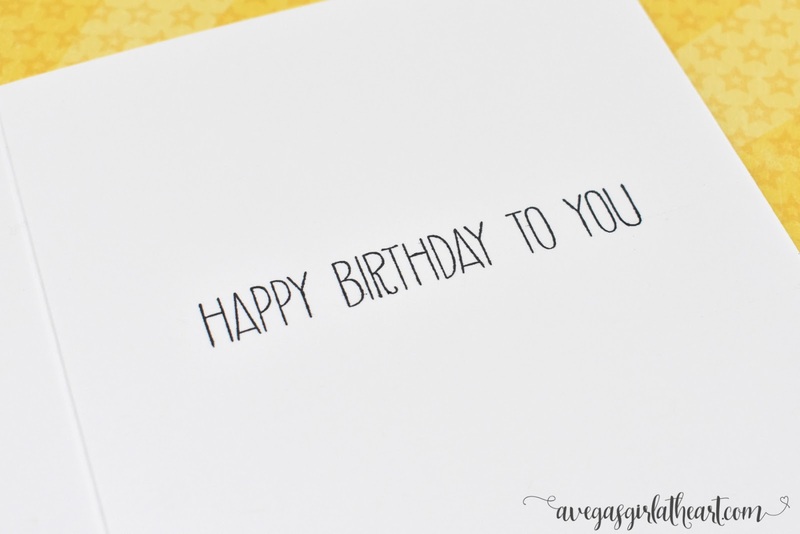 On the inside of the card, I stamped "Happy Birthday To You" from the same Avery Elle Handwritten Note stamp set. This card did take me a couple of hours to finish (mostly because every step of the way I messed something up, from my maze not sticking to the card, to my letters not being straight, to dropping my video setup right down on the almost finished card), but I know he's going to love it.